Kiwi music lovers are in raptures over Cantabrian Hayley Westenra's newest album Paradiso. For such a family-focused musician it is appropriate that Mother's Day proved a major tipping point for the talented soprano. On the very day Kiwis honour and celebrate their dearest, Hayley Westenra's latest CD moved to the top of the New Zealand Albums Charts - and broke a notable record. In ascending the summit Hayley takes the outright lead as the local artist with the most No. 1 albums to her name, logging a fifth time on top according to Paul Kennedy of RadioScope, the company which compiles the weekly charts. 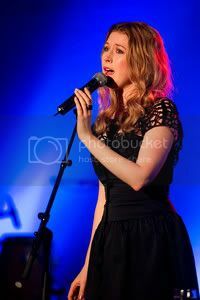 Hayley Westenra had previously been in a three-way tie with Split Enz and the feelers with four No. 1 albums apiece, Kennedy says. Now she is the sole champion, although it should be noted that two other local artists have been to No. 1 more times but under different guises. No surprises, Neil and Tim Finn have each been party to more No. 1s overall, but theirs have been as members at different times of Split Enz, Crowded House, The Finn Brothers and as soloists. RadioScope's resident chart historian Andrew Miller confirms that Finn the younger (Neil) totals 10 albums in all that have reached No. 1, while Finn the elder (Tim) has eight. Hayley Westenra's five chart toppers make her the most capped New Zealand solo artist and the most capped New Zealand woman. "It's not the first time Hayley has set a notable chart benchmark," Miller says. "With 19 weeks at No. 1, her 2003 album Pure is the longest-running No. 1 by a Kiwi and is the third longest-running No. 1 set of all time. "It is bettered only by Shania Twain's Come On Over at 23 weeks and Dire Straits' Brothers In Arms on 21 weeks." Chris Caddick from the Recording Industry Association of New Zealand, which administers The Chart, says Hayley Westenra has certainly sung her way in to the hearts and minds of all New Zealanders. "Not only is she just a wonderful soprano, but she's also a great New Zealander - and at such a young age," Caddick says. "Hayley is so giving of her time for her home country and particularly her home town of Christchurch and we all know how involved she is in her family." Paradiso becomes the 85th local No. 1 album since the Official NZ Music Charts began in 1975. Remarkably, over the 36 years the official charts have been compiled, Hayley Westenra's collected albums account for almost 18 per cent of the time New Zealand artists have spent at the summit. She tallies 33 out of a total 185 weeks local acts have been on top. It's almost 10 years to the day since the 24-year-old Westenra first made the top 40. Her latest chart-topper moves her up to sixth equal on the list of all acts, both local and international, with the most No. 1 albums here. Paradiso is a collaboration with master Italian composer Ennio Morricone known for film scores including The Good, the Bad and the Ugly and Once Upon a Time in the West.